Firehawk Products & Services, Inc.
Get the industrial power tools you need for your shop and job site at Firehawk. You will find power saws, power sanders, and air tools, along with cordless drills and drill/drivers to help you perform a variety of tasks. You can also find a wide range of finishing tools including circular, band, and reciprocating saw blades that are tough enough to cut through the hardest metals. 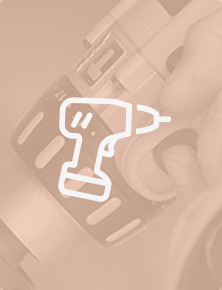 Shop Firehawk for your industrial power tools, replacement parts, and accessories today! 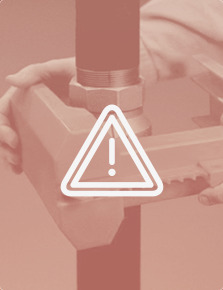 Workplace safety can mean different things for different environments. Whatever safety means for your role, Firehawk can help you to achieve it. Firehawk provides high-quality, dependable products you can trust to keep employees and work sites safe. Search by keyword, part number or category to find exactly what you need to help keep your workers safe and your workplace compliant with safety regulations. Shop for all of your industrial, commercial, and specialty motors at Firehawk. 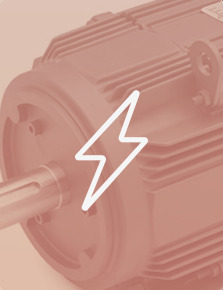 You will find plenty of general-purpose three-phase motors to use where a more compact size and less vibration is needed. You can also find the specific farm-duty, HVAC, or vacuum motor you need here, too. Firehawk carries motor supplies like capacitors and DC speed controls to keep your business moving. obtain mission critical supplies, and became inspired to provide the same service. His passion and commitment to serve those supporting the United States of America continues through the incorporation of Firehawk established in memory of his former squadron - HCS-5 Firehawks. Oak Ridge National Laboratory (ORNL) – Firehawk Products & Services, Inc., currently supports Oak Ridge National Laboratory (ORNL) through its Marketplace Basic Ordering Agreement (BOA) generating millions of dollars in revenue per year (also referred to as industrial supplies or MRO supplies) under the Distributor Alliance Program utilizing ICPT pricing. Firehawk maintains an Internet Catalog – Open Catalog Interface (OCI) to allow ORNL’s employees access to Firehawk’s "round-trip" or OCI/Punchout Internet catalog to purchase their commodities. URS\CH2M Oak Ridge (UCOR) – In 2014, Firehawk supplied over several millions of dollars in various commodities to URS\CH2M Oak Ridge (UCOR). Through its efforts Firehawk received “Service-Disabled Veteran Owned Small Business of the Year” – 2014. "For the regular professional division Jake Reeves of Fairways and Greens won with a two day total of 8-under-par 136. It was a very close race after day 1 with five players within two strokes of the leader Walt Chapman, PGA. Jake caught fire on day two getting birdies on his last three holes and securing his victory. Loren Personett of McCabe Golf Course finished one stroke back for second place with 7-under-par 137. In the senior professional division it was another tight race for first. Bill Breen of Harpeth Valley Golf Center and Buddy Harston of Vanderbilt Legends Club took the lead after day 1 with 4-under-par 68. Bill Breen shot even-par on day two hold off Harston and Randy Helton, who had a strong day a 3-under-par 69, to win the senior professional division. In the regular amateur division Todd Burgan was tied for the lead with Tim Richardson shooting 3-under-par 69 after day one. Todd Burgan turned it on shooting 7 birdies and only one bogey to pull away in the division. He finished 9-under-par 135, five strokes ahead of the next closest competitor. In the senior amateur division Mike Poe was the wire to wire-to-wire winner shooting 5-under-par 139. He held a one stroke lead over Jeff Golliher after round one but had a strong second day shooting 4-under par 68 to hold off any push by Golliher." If you have any questions, please contact us via the form below. If you need to place an order, please call us toll-free and speak with a Firehawk Sales Representative. For all other inquiries, please send us an email.